I love you Zim! I don't care if he's differnt! I still love him! By the way nice pic! i know how Zim feels......awwwww!!!! *hugs Zim* ALL BETTER *sorta* FAVES!!!!!! O Zim-Zim, don't be sad! Wot did ya do 2 ma honey! Still, gr8 art! I like the "Woz I ere part"! I totally agree that it's hard being different. I'm weird and I like it thought. 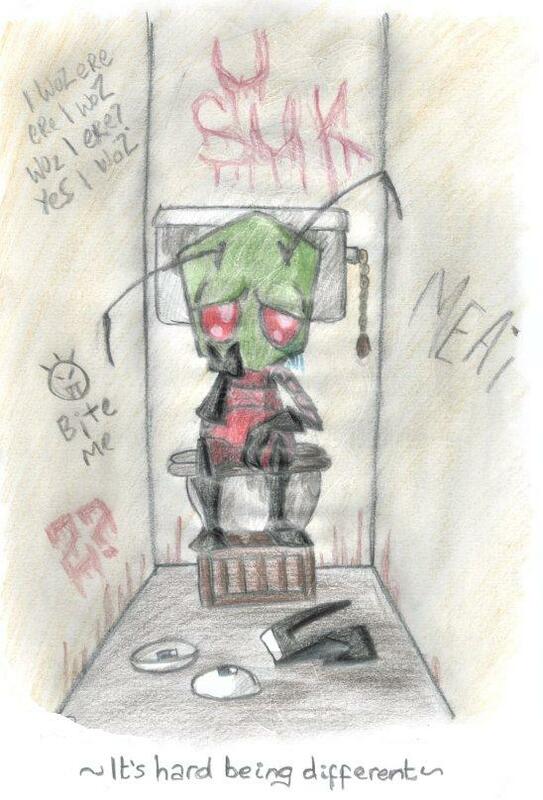 *Faves and hugs Zim* I like the writing. You'd expect a lot of that from the kids at Zim's school.